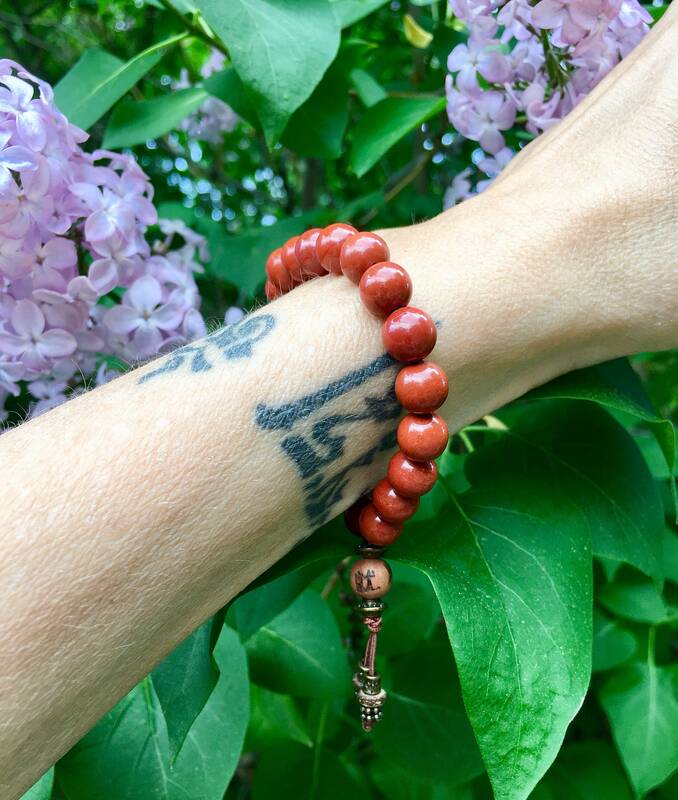 The Sukha Mala Bracelet features gorgeous AAA grade Red Jasper gemstones along with a carved cedarwood ancient prayer bead to offer comfort and relief during times of stress. 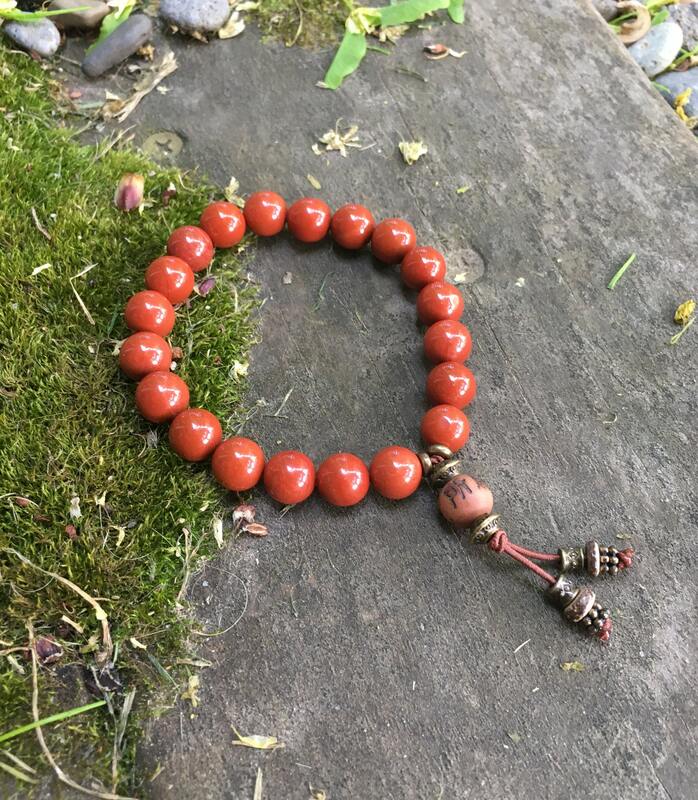 Sukha सुख is a Sanskrit word for "steadiness" and "ease", translating to "more happiness, less suffering". 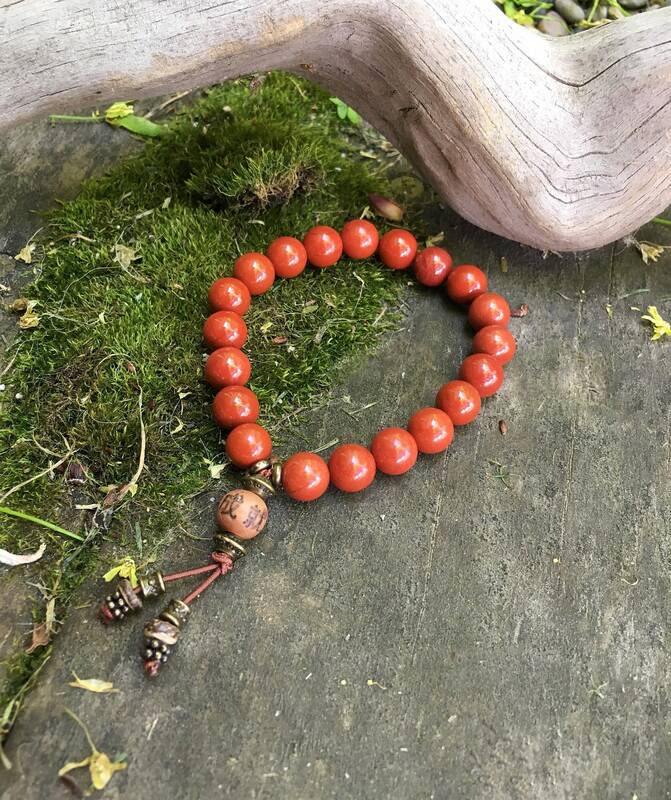 8mm and 6mm high quality gemstones, strung on strong elastic stretch cord. One size fits most wrists. Custom sizing is available.